The existing oak jetty had to be replaced every 3 or 4 years due to its deterioration in the harsh enviroment created by the lakes. This created on going costs for mainenance and replacement as well as some health & safety issues. Due to budget concerns an alternative sustainable product was sought. A range of products were looked and a decision was made to explore the use of Hanit® 100% Post Consumer Recycled Plastic Decking System for this particular problem. 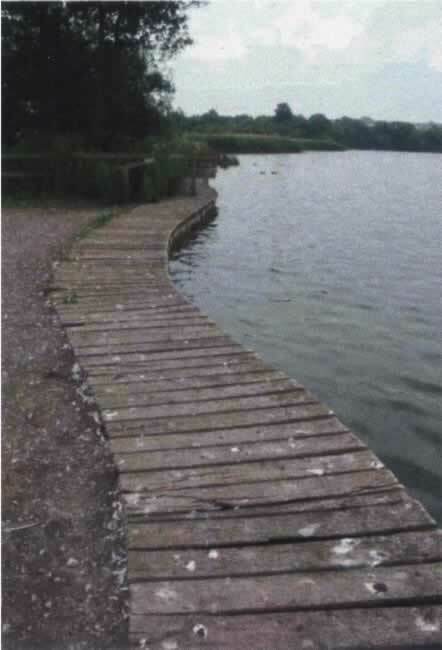 Cosmeston Lakes contacted JACS (UK) limited and received a site visit from the company where samples of the proposed decking solution using a Hanit® 100% Post Consumer Recycled Plastic were demonstrated and left for closer scrutiny. It was decided that the Hanit® decking met the criteria and was duly ordered. The Hanit® Recycled Decking System supplied by JACS was found to be a cost effective solution to an ongoing maintenance problem. It met all the design criteria and surpassed all the expectations of the parties concerned. It was also noted that even when wet the decking retains a non-slip surface which is a distinct advantage over Oak as well as the obvious maintenance issues caused by rotting wood. By using the 100% Post Consumer Recycled Plastic as an alternative to Oak this helped the Vale of Glamorgan Council meet their sustainability criteria. Safety: it is felt that the decking system is a safer solution than the previous wooden decking. Maintenance: the colour & materials were selected to be low maintenance and because they did not require constant repair or replacement. “It has provided an aesthetically pleasing result using modern materials in a Site Of Special Interest (S.S.S.I) and could be a blueprint for further recycled decking systems in the area” Mr Pickering also went on to say “the response from the public using the lakes has been very positive about the new material and we have had interest from othe Welsh authorities who would like to use it for other improvement schemes”.